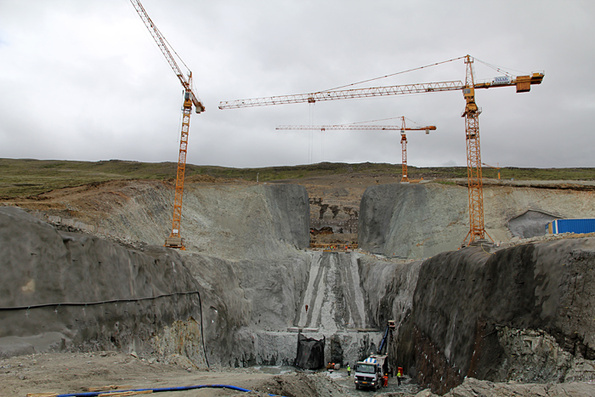 Construction of the new Búðarháls Hydropower Station in the southern highlands of Iceland is proceeding as scheduled. 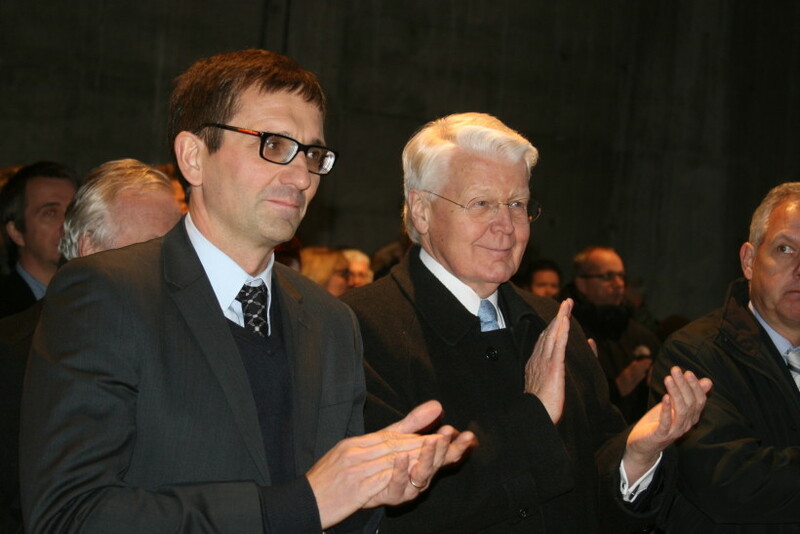 Last week the President of Iceland, Mr. Ólafur Ragnar Grímsson, laid the cornerstone to the station’s powerhouse. The construction of this new power plant commenced in late 2010. The station will have two 47.5 MW turbines, with a total power of 95 MW. It will start operation by end of 2013 and by 2014 the station will produce 585 GWh of electricity annually. The project is part of Landsvirkjun’s expansion following an agreement to provide an aluminum smelter of Rio Tinto Alcan (RTA) with more power. RTA has more than 40 years operating history in Iceland and is currently expanding its aluminum plant at Straumsvík in Southwestern Iceland. This increases RTA’s electricity demand in Iceland by 658 GWh annually. When the financial crises hit Iceland in late 2008, a period of economical difficulties followed and foreign investment became minimal. Iceland’s credit rating was downgraded and as the power company Landsvirkjun is state owned this downgrading was negative for the company. However, the Icelandic economy soon started to show positive signs. In early 2011 Landsvirkjun secured full funding for the Búðarháls Project. This includes two loans from the Nordic Investment Bank (NIB) and the European Investment Bank (EIB), respectively. Each of the loans is 70 million USD. In addition, Landsvirkjun successfully issued bonds for 100 million USD through an Icelandic bank. It certainly seems that Landsvirkjun is back on the track.